Since it entered service with the US Navy and Marine Corps in Sept 1987 the Boeing F/A-18D Hornet has proved itself a highly capable multi-role fighter-bomber. However, to undertake a reconnaissance sortie the aircraft would have to carry a large external pod, limiting the additional weapons that could be carried, as well as having an impact on the aircrafts performance. In the early 1990’s the US Air Force needed a new tactical reconnaissance pod for their F-16s, to replace their retired RF-4s. The US Marine Corps was also being re-equipped with a large number of F/A-18Ds and they also needed to replace the airborne reconnaissance capability lost when their final RF-4 Phantoms were retired. The solution was a joint programme for a new tactical reconnaissance system known as the Advanced Tactical Reconnaissance Airborne System (ATARS). 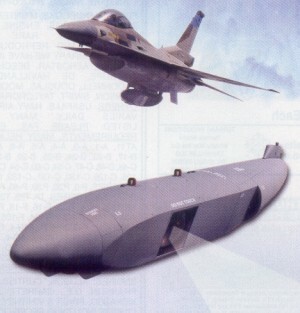 Originally the US Air Force was the lead service for ATARS and they planned to equip a number of their F-16s with an external pod containing the complete ATARS system. However, in Jun 1993, after years of delay and cost overruns, the US Air Force withdrew from the ATARS programme and this was followed later that year by a critical review of the ATARS programme, which identified a number of significant errors in the procurement programme and recommended how these could be addressed. In Nov 1993 the US Navy received approval to resume development of ATARS and the US Marine Corps, as the lead service, then assumed management of the ATARS programme in Jan 1994. 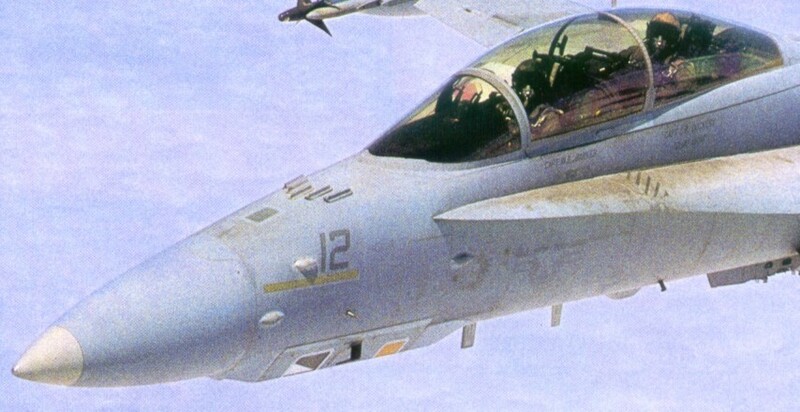 Rather than limit the attack capability of their F/A-18 aircraft, the US Marine solution was to have the majority of the new reconnaissance system mounted internally on a number of F/A-18Ds. 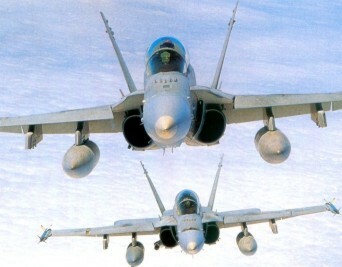 The ATARS fits neatly in the nose of the F/A-18D in place of the 20mm cannon. ATARS has three sensors, the LAEO (Low Altitude Electro Optical), the MAEO (Medium Altitude Electro Optical) and the IRLS (Infra Red Line Scan). The LAEO and IRLS are primarily used for altitudes of between 200ft – 3000ft, whilst the MAEO is used between 3000ft and 20,000ft. The LAEO has a 138° field of view and the MARO has a 22º wide scan able to slew from wing tip to wing tip. The IRLS has both a wide mode of 140° and a narrow mode of 70º. In an ATARS installation the front transparent window is where the LAEO and MAEO are situated and the rear window, with a special translucent orange coating, is used by the IRLS. Data captured by the sensors is recorded on two 19mm digital tape recorders. The tapes can record the Synthetic Aperture Radar (SAR) imagery, the EO sensors or the IRLS data and are initialised to record a particular data stream prior to take-off. Up to 30 minutes of SAR data or 45 minutes of ATARS data can be recorded on the tapes but, because of reliability problems, the 19mm tapes will be replaced by new digital recorders in 2006. An onboard Reconnaissance Management System (RMS) controls the various sensors and a digital datalink pod, mounted on the centreline station, enables imagery captured by the various systems to be transmitted in near real-time to any Common Imaging Ground Station/Surface Station (CIG/SS) compatible system, including the Joint Services Imagery Processing System (JSIPS) or Marine Tactical Exploitation Group (TEG) based ashore and Navy JSIPS (JSIPS-N) aboard ship. However, due to its complexity, in operational use it appears that the data link is rarely used and instead reconnaissance imagery is usually processed after flight. In Nov 1995 the McDonnell Douglas Corporation was awarded a $69 million contract for the development an integration of ATARS into the F/A-18D. In Dec 1996 approval was given for ATARS to begin Low Rate Initial Production (LRIP) of four ATARS suites that would be used for a variety of tests. This was followed in March 1998 by a second LRIP contract for a further six ATARS and four Data Link pods and then in Sep 1999 further approval was given for another LRIP contract for the US Marine Corps. Each of the six US Marines F/A-18D squadrons will receive three ATARS aircraft, giving a total of 18 ATARS equipped aircraft altogether. The first operational use of ATARS equipped aircraft occurred in Feb 2000 when the MCAS Beaufort based VMFA(AW)-332 deployed to Hungary in Operation Allied Force. ATARS is now fully deployed to Marine Corps F/A-18D units and has already proved itself in action, where ATARS equipped aircraft have carried out Battle Damage Assessment (BDA) during a strike, a far safer option than having an unarmed aircraft arrive to complete a BDA run after an attack whilst transmitting the data in near real-time, making the aircraft a considerable advance in capability on the US Marines old RF-4B/C aircraft. Although heavily dependant on US equipment, Israel has, nevertheless, developed a highly effective defence industry, sometime by force of circumstances. In particular, the Israeli Defence Force (IDF) have long recognised the need for timely and effective reconnaissance and this resulted in the IDF developing and then deploying small battlefield surveillance UAVs, equipped with electro-optical sensors, before any other country. One Israeli company that has had considerable success in recent years is Electro-Optics Industries Ltd (ELOP), a subsidiary company of Elbit Systems, who have been responsible for many of the electro-optical sensors mounted on Israeli UAVs. The reconnaissance capabilities of the Mirage IIICJs and Kfirs were supplemented by four locally modified F-4Es, two for vertical photography and two for panoramic photography, with various cameras installed once again in the nose, replacing the existing gun ammunition drum. However, to avoid having to get to close to a highly defended target, Israel acquired the US G-139 pod housing a highly advanced General Dynamics HIAC-1 camera which allowed the aircraft to conduct Long-Range Oblique Photography (LOROP). 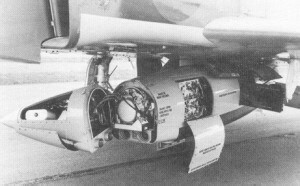 Unfortunately, the weight and size of this external pod had a severe effect on the performance of the F-4E and eventually this camera was installed in the nose of three specially modified F-4E(S) aircraft. 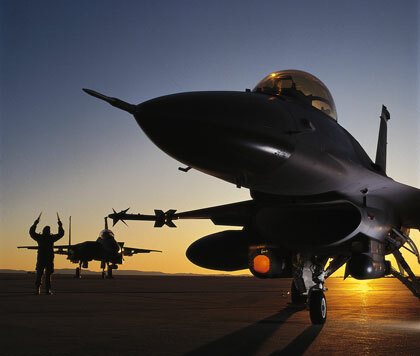 The introduction into IAF service of the multi-role F-16 nessitated the need for a reconnaissance system the aircraft could carry but, because of the design of the aircraft, this did not allow the option of installing a camera system in the nose of the aircraft. Instead the IAF have purchased a state of the art LOROP external pod designed and built by ELOP and known as the Condor 2. The Condor 2 is an advanced electro-optical photographic system that provides very large volumes of high resolution reconnaissance imagery in near real time. 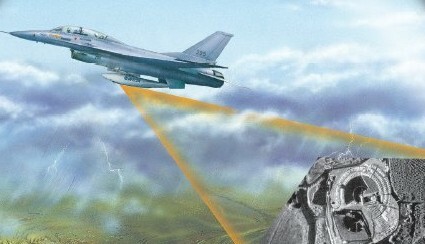 The imagery is provided in both the visible and infrared spectral bands from standoff distances beyond the enemy’s air defence systems. The Condor 2 transmits and / or records all images taken during the flight based on a pre-determined mission plan or aircrew decisions. The pod can transmit imagery as it is taken or transmit images previously recorded whilst taking new images. The imagery is sent to a dedicated Ground Image Exploitation Station (GIES) via a data link, either in real-time or when determined by aircrew – alternatively imagery can be downloaded after the aircraft lands. The GIES can quickly analyse the imagery and transmit target details, co-ordinates and images to attack aircraft, allowing weapons to be fired at the targets from outside air defence range. The Condor 2 pod is fully compliant with the flight envelopes of the F-16 and F-4. This state-of-the-art reconnaissance pod and associated systems facilitate the delivery of timely and accurate information, enabling quick decisions for rapid response initiatives. They provide ideal ‘sensor to shooter’ synergy, significantly reducing the time gap between identification and response. In 1964 the Labour government of Harold Wilson cancelled the P1154 and TSR-2 programmes, leaving the RAF without obvious replacements for the Hunter and Canberra in the fighter, ground attack and reconnaissance roles. The RAF eventually decided to follow the Royal Navy's decision to purchase the McDonnell Douglas F-4 and in Feb 65 placed an order for 118 F-4's to take over the roles of the Hunter and Canberra. In RAF service the Phantom was known as the FGR2, with the initials standing for Fighter, Ground Attack and Reconnaissance. The F-4 OCU at Coningsby was formed in Aug 1968 and the initial output of graduates formed the ground attack squadrons in Germany and UK. The first dedicated F-4 reconnaissance squadron to form was 2 Sqn based at Laarbruch in Germany which stood up in Dec 70. 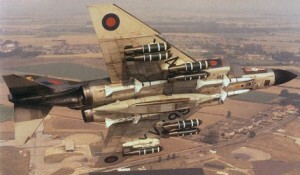 This was followed by 41 Sqn at Coningsby which formed in Apr 72. Only some thirty F-4's were specially wired to carry the EMI reconnaissance pod and these aircraft equipped 2 and 41 squadrons. It was originally intended that reconnaissance would become the chief secondary role for the FGR2 and to equip the recce squadrons for this role, EMI was contracted to design, build and deliver a dedicated reconnaissance pod. 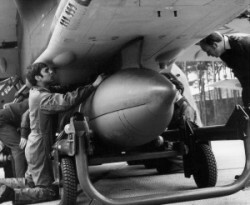 Using a considerable amount of technology originally developed for the TSR2 reconnaissance systems, EMI eventually created the biggest, most capable and most expensive reconnaissance pod of the 1960s. To ensure the pod could be safely carried underneath the FGR2 on the centreline store, with sufficient ground clearance, the pod was made roughly the same dimensions as a 500gal external fuel tank. The EMI pod usually carried forward, vertical and oblique F95 70mm and one F135 cameras together with an EMI P391 Q band SLAR with mapping and MTI capability and a roll stabilised Texas Instruments RS-700 IR linescan. For night photography four F135 cameras could be carried in the pod and electronic flash equipment was carried in a separate pod carried under the wing. For special tasks, a F126 vertical camera and an F95 oblique camera with a 12in focal lens could also be fitted. For various reasons the pods proved unreliable and were something of an expensive flop. The EMI reconnaissance pods were eventually withdrawn from service with almost indecent haste, indeed 2 Sqn were only equipped with the pod for barely a year. 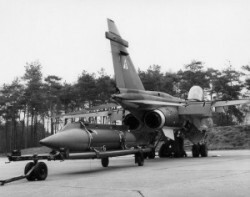 Most of the pods were dismantled and some of the equipment eventually found its way into the smaller recce pod that equipped the Jaguar's when they eventually took over the role of tactical reconnaissance from the FGR2 in 1976. Since its formation in 1953 Israeli Aircraft Industries (IAI) has developed considerable expertise in developing airborne reconnaissance equipment, generally tailored to meet the specific requirements of the Israeli Air Force. Often to prevent the capabilities of the systems they employ becoming known by the belligerent Arab nations that surround Israel, they make little public comment on them and generally don’t offer them for sale. Sometimes the specialist equipment they deploy is American and this is only sold or loaned to Israel with specific limitations on the transfer of technology. However, in a global market with many competitors, the Israeli government and IAI know that to raise revenue and remain in business whenever possible IAI must now its technology offer for sale and one item they have recently sold is the EL/M-2060P reconnaissance pod. The IAI EL/M-2060P is a high performance Synthetic Aperture Radar (SAR) with Ground Moving Target Indicator (GMTI) reconnaissance system. 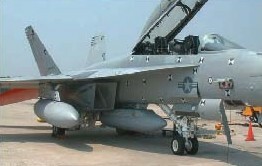 The complete system consists of the SAR/GMTI and a C, X or Ku band data link mounted in a 590 kg pod that can be carried externally on a variety of fighter aircraft, together with a Ground Exploitation Station (GES). The EL/M-2060P is capable of producing images of near photographic quality in all weathers, day or night and transmitting the images in near real-time via the data link over a range of over 250 miles to the GES. The SAR/GMTI can operate in either STRIP Mode, for coverage of very large areas at stand-off ranges, or SPOT mode to obtain a high resolution image of an area of interest. The data is also recorded on-board allowing it to also be interpreted once the aircraft has landed. The GES can be installed in either a fixed or transportable location and is equipped with a variety of workstations to allow rapid data reporting and exploitation. So far the only export customer that IAI have found for the EL/M-2060P is the Indian Air Force. In the summer of 2005 it was announced that the Indian Air Force had ordered a number of EL/M-2060 pods in a $150 million deal. The pod will be different from the version operated by the Israelis as it will also incorporate an electro/optical sensor provided by Elop. Exactly how many pods and associated ground stations have been acquired by India is unknown, however, when this system becomes operational on their Mirage and Su-27 aircraft it will provide the Indian Air Force with a huge leap in capability. However, India has also had very close defence links with Russia for many years and because the Russians would be very keen to get their hands of the very latest Israeli SAR/GMTI technology, I imagine the version of the EL/M-2060 exported to India will be rather less than ‘state-of-the-art’. When the RAF’s version of the Jaguar was introduced into service, a new reconnaissance pod was required to equip those aircraft designated to undertake reconnaissance duties. 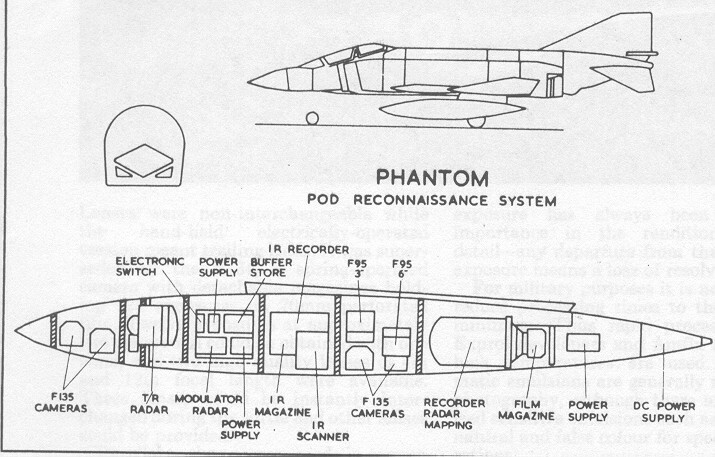 Despite the poor performance and reliability of the EMI reconnaissance pod, which equipped the RAF F-4 Phantom’s engaged in reconnaissance duties, it was decided to utilize the EMI pod’s infra-red linescan imager equipment for the Jaguar pod when the Phantom reconnaissance pod was withdrawn from service. EMI designed and built a large recce pod specifically for the Jaguar operating in low and medium level reconnaissance duties. The pod was 5800mm long, 648mm wide, weighed a maximum of 560kgs and was limited to 4½ G.
The pod contained a variety of cameras depending on whether the role required was either low or medium level. In the low level role, the pod was equipped with a single Vinten F95 Mk 7 camera with a 6 inch lens in the nose. A fan of four horizon to horizon Vinten F95 Mk 10 cameras two with 3 inch and two with 1.5 inch lenses in the middle. The forward looking camera and the two low oblique cameras were mounted in a front drum unit, the two high oblique cameras were mounted in a rear drum unit. Optically accurate glass windows were fitted across the drum skins at each camera position and, when not in use, these were shrouded by the pod structure. When required for use, the drums rotated 180 degrees, exposing the glass windows. The cameras in the rear drum were mounted on an easily removeable role change module, forming part of the drum structure and could be replaced by a similar module mounting a vertical F126 survey camera with a 6 inch lens, when the pod was required to undertake a medium level role. 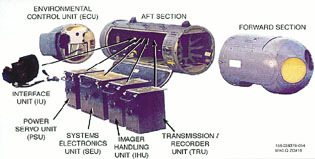 The EMI 401 infra-red linescan imager was mounted in the rear of the pod and had an across track field view of 120 degrees. The unit could be offset 30 degrees port or starboard, giving a coverage capability of 180 degrees in 120 degree sectors. The pod was also equipped with a self-contained air conditioning system and a data convertor unit (DCU). 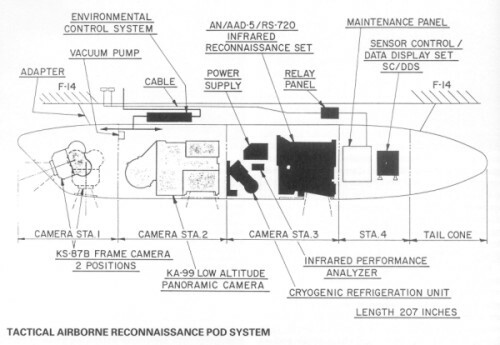 The DCU was mounted in the pod structure immediately aft of the air conditioning unit, accepted inputs from the aircrafts NAVWASS system and annotated the camera and IRLS films. The Jaguar EMI Recconnaissance pod was withdrawn from service in the 1990s and replaced with the Vinten Vicon 18 series 601 electro-optical reconnaissance system. Few details are usually revealed about the reconnaissance capabilities of Russian reconnaissance systems. However, the Russian authorities have recognised that if they wish to attract export customers for their aerospace equipment, they have to allow details of the equipment and it’s capabilities to be more freely available. In Aug 03 at the MAKS airshow in Moscow, Sukhoi displayed their latest enhanced Su-30MKK2 multi-role fighter carrying a variety of equipment, including the new M400 reconnaissance suite developed by Kupol to a Sukhoi specification. The M400 reconnaissance suite is housed in a large pod capable carried on the centreline station and can carry a variety of sensors including a Sideways Looking Airborne Radar (SLAR) with a range of 100km and a resolution of 2.0m, a high and low altitude TV/infra-red camera with a 30cm resolution or a long-range oblique camera with a range of 70km and capable of imaging down to 40cm. Equipped with an M400 pod housing a SLAR, according to Sukhoi, a SU-30MKKK2 can act as an airborne command post tasking/controlling up to 10 other aircraft. In addition, Sukhoi stated that the SLAR would also enable the aircraft to conduct precision targeting against naval ships and other targets. However, when the SU-30MKKK2 was displayed with the M400 pod it was admitted by Sukhoi that the pod had not yet actually flown on the aircraft because of a number of hardware issues that remained to be resolved. The SU-30MKKK2 has been developed by Sukhoi to meet a specification drawn up by the Chinese Peoples Liberation Army Air Force (PLAAF). The PLAAF has acquired two batches of 76 Su-30MKKs between 2000 and 2003. The third batch, which consisted of 24 examples of the upgraded Su-30MKK2 variant, was delivered to the PLA Naval Air Force in August 2004. The number of M400 pods ordered remain unclear and how effective they will be in service remains to be determined; nevertheless, if the PLAAF manage to develop, integrate and operate this system to its full potential, it will considerably enhance the capability of their Su-30MKK2 aircraft. During the Vietnam War the need to hit small bridges and other heavily defended targets led to the development of laser designation pods and ‘smart’ bombs that could guide themselves onto a target designated by a the laser. As technology improved and, particularly as electronic systems reduced in size, it became possible to combine even more useful features within a podded system. 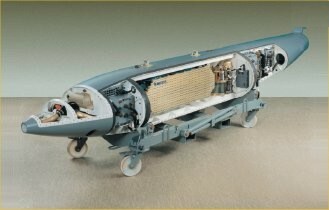 In the late 1970’s the US Air Force was looking out for a podded system that increased the combat effectiveness of their aircraft, by enabling them to fly at low-level at night and in bad weather, as well as allowing them to attack ground targets with a variety of precision-guided and unguided weapons. Lockheed Martin began a research and development programme in Sep 1980 to meet this requirement and by Dec 1984 they had completed the initial operational test and evaluation of what had become known as the Low Altitude Navigation and Targeting Infrared for Night or LANTIRN system. Low rate initial production of the LANTIRN commenced in Mar 1985 and the first production pod was delivered to the Air Force in Mar 1987. The LANTIRN system was originally built for the USAF F-15E Strike Eagle’s and F-16C/D Falcon’s. 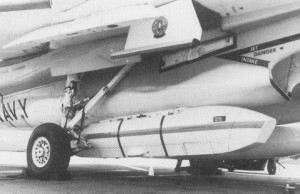 However, the success of the LANTIRN led the US Navy to purchase 19 modified AN/AAQ-14 targeting pods for use by their F-14A/B/D Tomcats. These pods included a global positioning and inertial navigation systems. 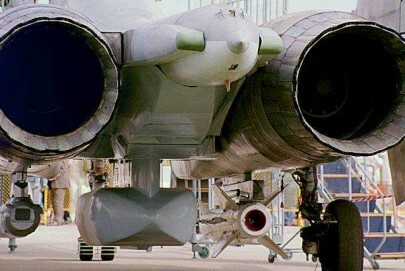 The LANTIRN system consists of two integrated pods mounted externally beneath the aircraft. The AN/AAQ-13 navigation pod contains of a terrain-following radar and a fixed infrared sensor, which provides a visual cue and input to the aircraft’s flight control system, enabling the aircraft to maintain a pre-selected altitude above the ground and avoid obstacles. This sensor displays an infrared image of the terrain in front of the aircraft to the pilot of the aircraft’s head-up display. 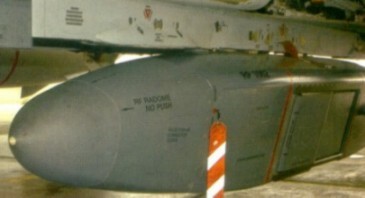 The AN/AAQ-114 targeting pod contains a high-resolution, forward-looking infrared sensor, which displays an infrared image of the target to the pilot, a laser designator-rangefinder which allows precision delivery of laser guided munitions, a missile boresight correlator which allows automatic lock-on of the AGM-65D Maverick missile and software for automatic target tracking. 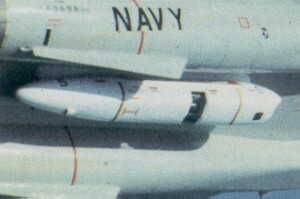 In 1999 the Tomcats AN/AAQ-13 pods were given an upgraded software package, allowing more accurate weapons employment as well as recording more accurate target co-ordinates. Utilising their Fast tactical Imagery (FTI) system the F-14 crews could transmit digital images captured by the pod video system to another Tomcat or back to the carrier. This ability enabled immediate battle damage assessment, quick location of targets of opportunity or allowed the position of a target to be accurately determined for targeting by other weapons. 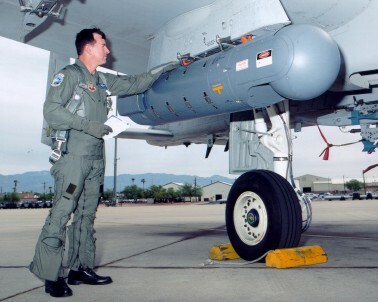 The LANTIRN Bomb Impact Assessment (BIA) modification programme for the USAF pods integrated a radiometer, digital recorder and portable data transfer device with the first modified pod delivered in 2002. Further upgrades to the LANTIRN system, improving the acquisition, identification and weapons employment ranges are planned. In Operation Desert Storm the lack of tactical reconnaissance assets was one of the major weaknesses of the coalition forces. To help overcome this problem it was realised that the LANTIRN pods carried by the F-15E Strike Eagles could record imagery of potential targets, as well as carrying out their primary mission, turning these strike aircraft into very useful reconnaissance assets. This capability was also employed by the LANTIRN equipped F-16s and the USN F-14s, going some way to overcome the lack of up to date imagery that caused such problems to pilots planning a mission and was used extensively during the ‘Great Scud Hunt’. Other countries which have purchased the LANTIRN for their F-16s include Belgium, Portugal, Holland, Norway and Denmark and the additional reconnaissance capabilities this system provides add considerably to the flexibility of these aircraft. For many years the RAF operated a number of Tornado GR1A aircraft equipped with the internally mounted TIRRS (Tornado Infra-Red Reconnaissance System) replacing the 27 mm cannon. The reconnaissance system comprised three main components, the sensor package, the recorders and the additional controls added to the cockpit. The sensor package was built around a Vinten 4000 Infra red line scanner. This was mounted beneath the cockpit floor within a small fairing. The scanner had a viewable arc of about 180o thus enabling it see 'horizon to horizon'. Two further scanners completed the system and these were located on either side of the forward fuselage. These two side looking Infra red scanners were used to enhance the detail recorded by the main scanner and they only operated within a small number of degrees of the horizon. The sensors were stabilised to take into account any movement of the aircraft. The images received by the Infra red scanners were processed and recorded onto a VHS sized cassette with other modifications to the package to ensure a high fidelity image. A major advantage of this system was that it did not use traditional wet film technology thereby reducing the amount of time it took to get at the data. The system also allowed some editing to take place within the cockpit during the return mission leg. The GR.1/4A was optimised to operate at low level, therefore a requirement also existed for the ability to collect photographic data from medium to high level. To achieve this a podded Vinten produced camera system system was also available using traditional wet film and comprised of two cameras, one with a 450mm lens and a panoramic camera with a 76mm lens. However, by the mid 1990’s the TIRRS was becoming increasingly expensive to operate and the wet film Vinten pod needed replacing with a modern digital system. After reviewing a number of off-the-shelf recce pods, the MOD decided to have a pod purpose built for the Tornado by the BF Goodrich Corporation in the USA. When it was introduced into RAF service in 2002, the DB-110 RAPTOR (Reconnaissance Airborne Pod TORnado) was the world’s first tactical day and night reconnaissance system. Similar in size to the Torndao’s underwing fuel tank, the RAPTOR is an Electro-Optical and Infra-Red system with the ability to display images in the cockpit and transmit these images via a Data-Link to a ground station, as well as recording them in the aircraft for post-flight analysis. The RAPTOR system is capable of imaging pre-planned targets, or ‘targets of opportunity’, and can image over 200 separate points in one sortie. In the past many reconnaissance pods have been designed to operate with the aircraft either overflying or passing very close to the target. However, like most modern recce pods, RAPTOR was designed from the outset to be used from a stand-off range from the target. This then allows the sensor to image the points of interest whilst the aircraft remains outside the area of highest threat. A total of 8 RAPTOR pods have been purchased by the RAF and although the pod can actually be carried by any of the updated Tornado GR4 aircraft, they will generally be operated in the strategic reconnaissance role by 2 (AC) Sqn at RAF Marham, who are also the lead squadron for RAPTOR. 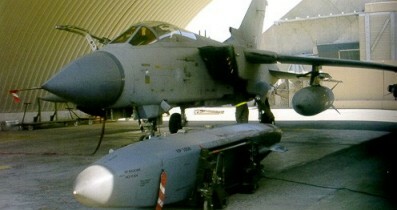 RAF Tornado’s will also use the digital Joint Reconnaissance Pod (JRP) for tactical reconnaissance sorties. The system actually made its operational debut (despite not being fully cleared for service) during Operation Iraqi Freedom in early 2003 where it performed extremely well. The introduction into service of RAPTOR allowed the RAF to withdraw the TIRRS from the Tornado and consolidate it’s reconnaissance exploitation assets into a single Tactical Imagery Intelligence Wing (TIW) based at RAF Marham. The increasing importance of reconnaissance, as opposed to offensive operations, has long been recognised by the RAF and this new state-of-the-art reconnaissance pod has finally given the RAF Tornado fleet the reconnaissance capability it should have had many years ago. Tight budgets and a limited number of aircraft, have forced most modern fighter aircraft to become multi-role and tactical reconnaissance is one role that can be readily assumed - provided you have access to a decent tac recce pod. 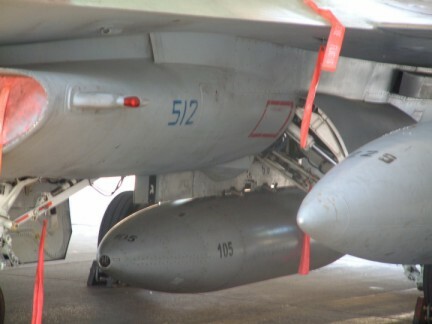 The Israeli firm of Rafael have marketed the successful Litening FLIR targeting pod for some time, indeed the pod was so successful that it was also manufactured and sold by Grumman in the US. 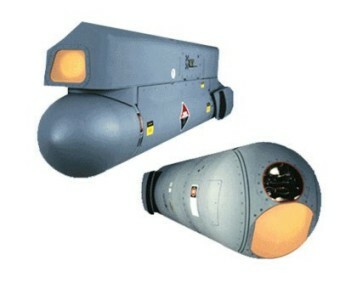 Nevertheless, Rafael recognised the need to also market a tactical reconnaissance pod and, rather than manufacture an entirely new pod, used the Litening as the basis for its new reconnaissance pod. The RecceLite pod uses the same structure and support equipment and is about 70% common with the Litening. The laser designator in the Litening is removed allowing the installation of a new 0.7 degree FOV third generation 3-5um FPA FLIR, the original FLIR is also removed and replaced with a Imager Handling Unit (IHU). The pod also contains an integral INS for improved stabilisation and INS data can be annotated on each frame of imagery. Imagery is recorded on a digital flight recorder, containing solid-state memory, giving up to 2.5hrs of recording time. A data link allows the transmission of images to a ground station in near real-time. Operating modes include wide-area search below or to either side of the flight path, sideways path scanning and spot collection. The current Litening pod can be converted into a RecceLite pod as a field upgrade. The RecceLight pod uses the existing targeting pod station and therefore can be used by aircraft already converted to use the Litening pod without any additional intergration work. The Spanish Air Force is already flying the RecceLite pod on their C.15 (EF18A & EF18B Hornets) and Rafael has a further 14 customers interested in acquiring this highly capable and cost-effective reconnaissance system. The high cost and increasing complexity of new fighter aircraft has squeezed defence budgets around the world. One casualty of these cutbacks has been the dedicated manned reconnaissance aircraft, where both cost and the increasing use of UAVs have seen a marked reduction in the number of dedicated reconnaissance aircraft in service. However, the requirement for timely and accurate reconnaissance has never been greater and the simple solution was to equip fighter and strike aircraft with a reconnaissance pod. 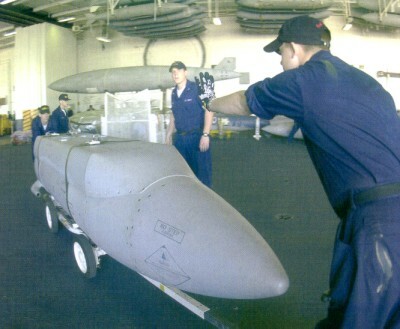 In the late 1990s the US Navy addressed their shortage of reconnaissance aircraft by ordering 16 state-of-the-art reconnaissance pods from Raytheon. Designed and developed to a US Navy specification, the Raytheon Company’s SHAred Reconnaissance Pod (SHARP) has been designed to provide tactical air reconnaissance for US Navy carrier-based wings. The SHARP mounts a Recon-Optical CA-749H and a CA-749M digital dual spectrum band cameras together with a real-time data link to a ground station. The CA-749H camera is optimised for high altitude coverage and the CA-749M camera for medium altitude, giving coverage from 2,000 to 50,000ft and slant ranges out to 50nms. These two cameras collect visible and infrared imagery respectively and together with a Synthetic Aperture Radar (SAR) gives the pod an all-weather, day-night capability. The SHARP is large at over 15ft long, weighing about 2,100 lbs and can be carried on the centreline station of a Super Hornet, or in the bomb-bay of an Orion P-3. Full rate production of the SHARP began in 2004 and ultimately the US Navy would like to order 50 pods and 8 ground stations, allowing the SHARP to replace the 47 TARPS pods that are being withdrawn from service as the final F-14D Tomcats are retired. The venerable Grumman F-14 Tomcat has already entered the twilight of it’s long and eventful service with the US Navy and the aircraft are already being withdrawn from service as they are replaced by the Boeing F/A-18E/F together with the unique F-14 TARPS reconnaissance system. The F-14 Tomcat actually grew from the ashes of a programme in the early 1960's to build a fighter that would meet the requirements of both the Navy and the Air Force and was given the designation F-111. The Navy version, the F-111B, weighed in at 85,000 lbs and was designed to carry the AIM-54 Phoenix missile and the powerful AWG-9 radar, a combination that was planned to shoot down aerial enemy targets 100 miles away. F-111B flight tests were little short of a complete disaster and several pilots lost their lives flying an aircraft that was too heavy and far too clumsy for carrier operations. Thankfully only 7 F-111B were produced before common sense finally prevailed and the program was finally cancelled in 1968. Nevertheless the Navy and Hughes decided to continue testing the AWG-9/Phoenix with the F-111B prototypes to ensure that the system was ready when a replacement aircraft was ready to fly. The F-14 program was born with the 1968 Navy's proposal for the VFX (Navy Fighter Experimental) and resulted in Grumman's general design 303. The VFX required a fighter with a two-man crew with tandem seating, two engines, an advanced weapon system, a powerful radar plus the ability to carry a variety of long, medium and short-range high-performance air-to-air missiles together with an internal gun. Finally, the VFX was also required to land on a carrier with a full armament load, rather than having to ditch highly expensive missiles to keep the landing weight down. However, by now thanks to the foresight of the Navy and Hughes, AWG-9 radar and Phoenix missile originally used in the F-111B aircraft, was also ready for service and both would be used in the F-14A Tomcat. The first flight of the F-14A prototype took place on December 21, 1970 and after comprehensive testing, the fully F-14 was introduced to the fleet in 1974. In the 1980’s the US Navy was becoming short of reconnaissance assets and decided that the F-14 would make an excellent recce platform. The Tactical Airborne Reconnaissance Pod System (TARPS) was designed specifically for the F-14 and is housed in a 17ft, 1,850lbs pod mounted on the main fuselage, in the right rear Phoenix station. The front of the pod contains a two-position (vertical and forward oblique) Barrington IL KS-87 frame camera, behind this camera is a Barrington IL KA-99 low altitude panoramic camera, followed by Lockheed Martin’s AN/AAD-5 linescan imaging infra-red sensor. TARPS can also be fitted with a KS-135 long-range camera. Only minor changes to the wiring and cockpit displays are needed to enable an F-14 to carry a TARPS. During Desert Storm in 1991 F-14s flew 781 TARPS missions and numerous TARPS missions were also conducted over Bosina-Hercegovina as part of Operation Deny Flight in 1993. However, Desert Storm also showed the limitations of using ‘wet film’, where the dissemination of information was far slower than the end users required, particularly when the TARPS equipped F-14s were used for ‘Stud Hunting’ or Battle Damage Assessment deep inside Iraq. In 1990 the first updated F-14D, powered by two F100-GE-400 engines came off the production line, with the final Tomcat leaving the factory in July 1992. However, by now the US Navy had decided that the Tomcat should also be used for other roles and the new F-14Ds all had the cockpit displays and wiring for use of the TARPS recce pod. Today, the few remaining F-14Ds have full strike capability and LANTIRN equipped Tomcats can also deliver smart as well as standard iron-bombs with a considerable bring-back capability. The Tomcat is night-vision goggle capable and is now considered a long-range multi-mission day & night strike-fighter and reconnaissance platform. 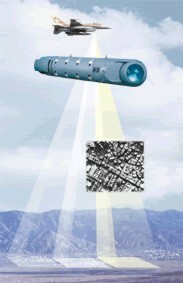 The limitations of the TARPS ‘wet’ film system was resolved by the purchase of 24 new TARPS – DI (Digital Imagery) pods in 2003 and this allow the aircraft to relay imagery in near real-time back to a carrier or a ground station via their Fast Tactical Imagery (FTI) secure UHF datalink. But things went different for the latest Tomcat version, the F-14D, thanks to financial cut-backs and a strong F-18E/F lobby in the US government, the number of new F-14Ds was reduced as well as the remanufacture numbers of aircraft that should have been upgraded from F-14A/B standard to the F-14D. A few days after the F-14D production and remanufacture were terminated on 26 February 1991, the US Department of Defence announced that the F-18F Super Hornet would replace the F-14 Tomcat and the final aircraft will be withdrawn from service in 2006, along with the TARPS-DI system.